After being underwhelmed with last night light's Cranberry Chutney attempt...I got to it again today. Don't get me wrong, yesterday's attempt wasn't "bad" it's just not what I wanted it to be. First of all the recipe I used called for way too many cloves for my taste. I also wasn't sold on the added dried pineapple. I enjoy dried fruit but I'm really picky about it - only no sugar added brands (the most amazing one being Steve's Paleo Goods Dried Fruit). *Note: Cranberries have quite a bit of natural pectin which allows them to gel nicely. Therefore not much sugar is needed to get a really nice set. 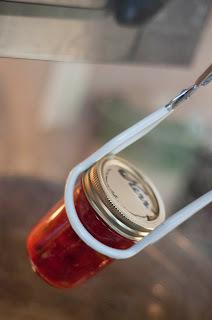 Prepare jars and lids for canning. Rinse cranberries and combine all above ingredients in a large pot. Bring to a boil over high heat. 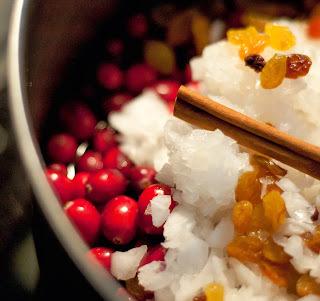 Then lessen heat to a gentle boil for 15 minutes until cranberries soften. Stir often. Remove the cinnamon stick. Fill hot, clean half pint jars with chutney leaving a 1/2 inch head space. Remove air bubbles using a chopstick or "bubbling tool." Don't use knives as they could scratch the jars. Wipe rims of jars with clean damp towel. Apply lids and bands. Process for 10 minutes for 0-1,000 ft. above sea level. If you aren't a canner or just don't feel like processing no problem! Place Chutney in the fridge after cooking. Use as soon as possible. 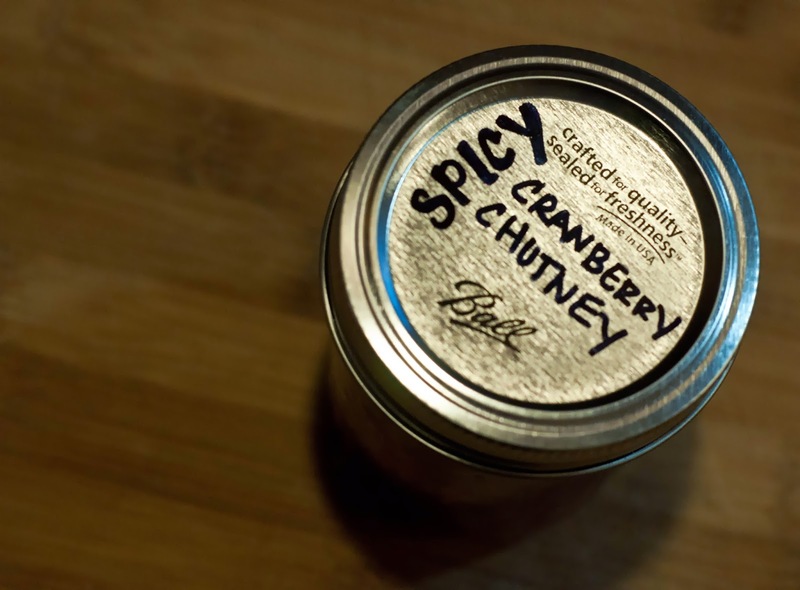 The Chutney was so yummy I popped open a jar and put some on my burger patty for lunch!